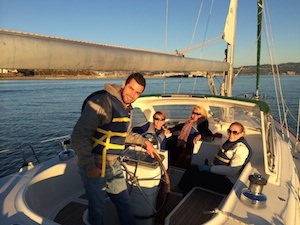 Posting your Sailing Trips on GoSailing will allow you to share your passion for sailing with others, and meet some awesome people and make new friends. We have talked to a number of GoSailing Skippers and compiled a set of tips designed to make your GoSailing experience consistent and enjoyable. Post Early: It is good practice to post your Sailing Trips at least a week in advance, giving people enough time to join and plan for the sail. If you post your trip by Tuesday it will be featured on our weekly newsletter, sent every Wednesday to our community. Enable Notifications: make sure Notifications are enabled for your GoSailing App. Notification will alert you to important events such as Crew Applications and Messages, and allow you to respond quickly. Learn more here. Be Responsive: show your crew that you are reliable by responding quickly to every inquiry, whether it’s a question about your sailing trip or a crew application. We recommend getting back to your crew on the same day, and no later than 24 hours from the inquiry. Send a Final Reminder: we recommend that you send a final trip message to your crew the day before the sail reminding everyone where/what time to meet, what to bring, parking options, and anything else needed for a great sailing experience. Be Thorough: when posting a new sailing trip make sure to provide complete and accurate information (boat location, crew preference, trip type, boat info, plan for lunch, etc.) Also, use a nice trip photo to make your trip more enticing! Post Frequently: the more you post the faster you build your network of Sailing Buddies on GoSailing, and the easier it gets to find crew when you go out sailing. Add a great profile photo: take a moment to update your profile, starting with a nice profile photo of you at the helm. The more complete your profile, the more people will feel that you’re reliable, authentic and experienced, and the more they will want to join your trips. Post a Sailing Trip now and share your passion for sailing with others!